Welcome back to Season 3 of the Make Light Show! This season we’re going to be mixing things up a bit: we’ll be answering your questions about how to make light when life get occasionally dark — things like how to make light when you’re overwhelmed at work, or how to make light when you’re struggling with body image, or even how to make light when you’re bored. This week, we’re tackling Debi’s question about how to make light by setting boundaries. Take a listen: boundary-setting is never easy, but it’s necessary, and actually something to be really proud of. Prep Dish is a healthy subscription-based meal planning service. When you sign up, you’ll receive an email every week with a grocery list and instructions for prepping your meals ahead of time. After only 1-3 hours of prepping on the weekend, you’ll have all of your meals ready for the entire week — gluten-free, dairy-free or Paleo, if you’d like! And the best part is the founder, Allison, is offering Make Light Show listeners a free 2-week trial to try it out. Check out PrepDish.com/light for this amazing deal! 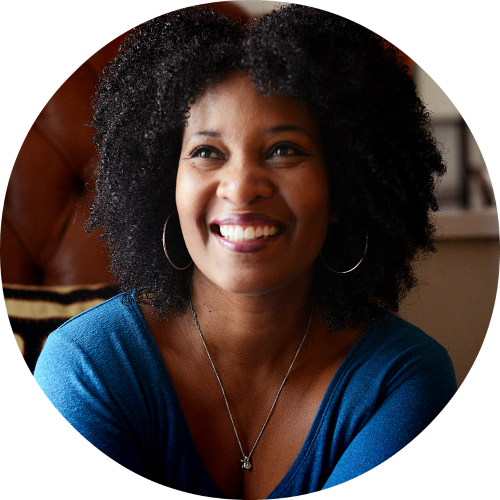 Karen Walrond is a leadership consultant, speaker, bestselling author and award-winning photographer, whose work is all about leadership, self-determination and making light. You can learn more about her at KarenWalrond.com. Thanks for such a great episode!! I love the sound of the adjusted direction of the podcast – really exciting!! One of the things that I am very intentional when making plans with others, is to give some thought to what things are and aren’t negotiable about my participation and then make the non-negotiable things clear in the very first planning phase. I may say something like ‘would you like to come over for a coffee at 2pm on Sunday? We will need to say goodbye at 4.30pm so that I can give the kids an early night before school, but if we don’t feel finished chatting at that time I promise I will call you Sunday night and we can continue on the phone’. Similarly, I make it very clear when the plans are open ended or flexible. It may sound rigid or even lacking in hospitality, but it is always arranged with so much warmth and kindness and friends and family know exactly where we all stand and never have to worry about if they are imposing as the boundaries are super clear and everyone relaxes into them happily. As a result, I can be so clear and light and generous with my time, hospitality and energy! Susie — thanks so much for your comment! I’m glad you’re liking the new format of the show. Also, love what you say about your own boundaries — it sounds like you’ve figured the secret of boundary-setting making you even more compassionate. And I bet your friends appreciate your clarity! The way you have answered things like how to make light when you’re overwhelmed at work, or how to make light when you’re struggling with body image, or even how to make light when you’re bored is amazing.